It was Karl Marx who was among the first believers that cyclical behaviour was endemic to free markets. He lived through a time when there was a regular cycle of boom and bust, with phases of economic expansion followed by contraction. Workers were employed and then unemployed, and the only way this could be stopped, in Marxian economics, was for the workers to acquire the means of production, or more correctly, the state to do so on their behalf. Other economists, such as Jevons and Wicksell, recognised the possibility of long-term fluctuations in commodity prices, but they did not formalise them into cyclical behaviour. Since Marx’s vision, several cycles have been identified, some of which go in and out of fashion. Groundwork on long-term cycles was conducted by the Russian-Marxist Nikolai Kondratiev, who identified a long wave cycle of 45 – 60 years, and by Joseph Schumpeter, an economist of the Austrian school, who identified several overlapping cycles, drawing on the work of others, such as Juglar (7-11 years fixed investment) and Kitchen (3-7 years fixed inventory)i. The American economist and father of gross domestic product, Simon Kuznets, reckoned there was a 15-20 year cycle of infrastructure investment. Additionally, and more recently, cycles in human behaviour have been attributed to sunspots and other phenomena. Since the 1980s, computer aggregation of data has allowed technical analysts to devise proprietary systems for forecasting cycle-driven price events. Cycles are big business today, fuelling an unprecedented public participation in securities markets, today’s destination for savings, and the media for wealth management. Accurate price data are not generally available from the time before commodity markets were properly established in the nineteenth century. Reliable data on commodities only really dates from about 1865, some time after global commodity trading had become established and people began to record historic prices. Modern data collection, the basis of GDP and consumer price indices, dates from the 1930s with the commencement of national accounting. Therefore, extrapolation back in time, particularly for evidence of long-wave cycles, requires a leap of faith to replace hard evidence. Therefore, the only way to identify their origin and validity is to consider the subject on a sound aprioristic basis. The intent of this article is to explain the phenomena that give rise to business and economic cycles, demonstrating they can only be the result of unsound money. Sound money is defined as physical gold, or fully-backed substitutes redeemable in total for physical bullion. It is a condition that has never occurred with fractional reserve banking, which formally dates from Peel’s Bank Charter Act of 1844, because that legislation permitted banks to create credit money not backed by bullion. Furthermore, a note issue monopoly was granted to the Bank of England, partially backed by government debt, though subsequent note issues had to be gold-backed. Therefore, money and credit in issue were far from sound. Before 1844, sound money was also compromised, with gold convertibility of banknotes suspended by the Bank of England in February 1797, and only resumed in 1821. Between 1821 – 1844, country banks issued their own bank notes, and there were periodic failures, the result of over-issuance of these liabilities relative to bullion and genuine claims on bullion in the banks’ possession. This is an important point, because it is wrongly assumed that money was sound before the First World War. It was only sound enough for price relationships to be maintained measured in gold. Our sound money hypothesis is therefore a theoretical construction. Even with sound money, newly-mined gold is an additional source of supply, and was a contributed to price inflation following Spanish importation from the New World after Columbus, major discoveries in California in 1849, and in South Africa in the 1880s. However, with these notable exceptions, above-ground stocks have generally grown at a similar rate to the global population, so the inflation of above-ground gold stocks had limited inflation effects. With that in mind, when money is only gold, and its substitutes are fully backed by vaulted coin and bullion, excepting domestic mine supply, increases in the quantity of money in circulation in a country only arise as counterpart to an arbitrage, which corrects price differentials between communities. If the prices of goods in one community differ from those in another commercially-connected community, merchants will exploit the differential. Counterpart to these transactions is gold, so gold will flow to the state where prices are low from the state where prices are high, correcting discrepancies. There are two broad conditions that can lead to price disparities, which attract arbitrage: different supply factors for individual goods or types of goods, and a differential in an overall preference for holding money, as opposed to acquiring goods. In the normal course of business, cross-border flows of gold are concerned with individual goods. We must also consider the effects of technical innovation. An entrepreneur seeking to exploit a technological discovery will bid up for savings to finance his investment. So, we see at times of technological innovation a shift from current spending, or consumption, towards deferred spending. It is financed from savings, to accommodate the investment. Most of the time, the net price effect of these shifts is too small to be noticeable in the total economy, being part and parcel of continual product improvement, and is offset by disinvestment from redundant production. But when a major technological advance is achieved, the switch from consumption into savings will tend to lower the prices of consumption goods relative to the goods of a higher order, because gold has been switched from current spending to savings to finance the investment. The price effect reflecting periods of innovation therefore exists, but limited to the goods in question, and in a direction different from that posited by cycle theorists. Therefore, the price consequences from progress is for prices to fall over time, expressed in gold, and the greater the innovation and rate of progress, the greater the decline in prices. The prices of final products in turn set the costs of the factors of production, including raw material prices. And while there may be intertemporal dislocations between the trend for prices at both ends of the production chain, these are temporary and inherently non-cyclical. To argue that the advent of railways drove up the price of coal was only true until demand for coal encouraged greater supply, when prices then stabilised and began to fall. The same is true of any innovation that requires new materials, and where extra supplies are not easily forthcoming, substitutes are deployed. While a pedant might justly describe it as a production cycle, it is certainly no more than that, and generally a one-off effect and not the basis for the repetitive cycles of economic activity alleged by the likes of Kondratiev. In any event, with sound money, price differentials are corrected by arbitrage across community boundaries as described above. A shortage of coal tends to attract imports. The effect is very powerful. In a more recent example, When the Belgian Congo disintegrated into civil war in 1960 and foreigners were fleeing the country, traders from East Africa’s Asian community were attracted by the high prices for basic goods in the Congo, making fortunes despite the dangers. So, when there’s a threat of war, famine, plague or even state intervention in markets, there can be a more general alteration of preferences for holding gold relative to goods, which only persists for the duration of the crisis. For example, people might stock up on vital goods, driving their prices up, and the purchasing power of gold, measured in these goods, would fall. Alternatively, uncertainty over government actions might drive preferences in favour of gold, leading to falling prices. But always with sound money, the price differences between one state and another are finally resolved by the flow of gold one way, and goods the other. The opportunity for price, trade or business cycles to develop however defined are therefore very restricted. We have seen that with sound money, technical innovations demand extra savings, lowering the prices of consumption goods. But this was not what Schumpeter appeared to think. He believed that entrepreneurial innovation caused long price cycles, identifying 1786-1842 as Britain’s first industrial revolution, 1842-1897 the spread of railways, steamships and textiles to other countries, and from 1897 onwards came the internal combustion engine, electricity, speciality chemicals and steel. These were all periods of rising prices. What Schumpeter appears to have missed is the price effects, which coincided with innovation in those periods, had their origin in the expansion of unbacked credit. The first period especially saw significant price inflation, not because of canals, their connecting of remote communities and the transport of goods, but it was at a time of the Napoleonic Wars and the suspension of the gold standard. The second period saw the formalisation of fractional reserve banking, leading to several banking crises, and an accelerated production of gold from California. The third period saw yet further expansion of bank credit following the establishment of the Bank of England as the lender of last resort, accompanied by the expansion of gold mining in South Africa. In all these instances, unsound money was present in growing quantities. Coincidence, or what? In conclusion, trade imbalances cannot persist without the oxygen of unbacked credit or other monetary expansion. 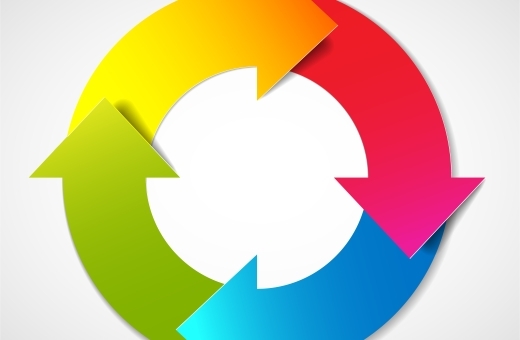 Supposed business cycles, which is the wrong term for changes that do not repeat periodically, with sound money must be limited to shifts between classes of goods, reflecting the interaction between technological progress and changes in preferences between different goods. A shift from horses as the power behind transport in favour of the internal combustion engine was never going to go back to horses again. It was progress, and is essentially non-cyclical. Thank goodness for progress, otherwise we would be periodically repeating the Great Horse Manure Crisis of 1894. And that is the point: in free markets using sound money, progress is accommodated and embraced, leading to falling prices over time and prices that are not subject to cycles. Now we will consider two different unsound money scenarios, one where bank credit is expanded without a matching increase in the underlying bullion, and the second where convertibility into gold is not available at all for users of fiat currency. The former was true until the early 1930s, and the latter has progressively applied thereafter. Following Peel’s Bank Charter Act of 1844, Britain, and therefore all her colonies and dominions, were on a sterling gold standard, and users of sterling could swap currency and bank deposits for gold. Banks, however, were permitted to create loans out of thin air, increasing the quantity of money in circulation. The result was a credit-driven cycle that led to periodic economic dislocations, and the second half of the nineteenth century become characterised by booms, and subsequent busts. That the expansion of credit was at the root of the problem was widely acknowledged, and Marx’s attempt to blame free markets was understood by most economists at that time to be incorrect. The understanding that credit was the source of the problem encouraged political thinkers, such as Bagehot, to assign to the central bank the responsibility of lender of last resort. Therefore, the Bank of England began monetary intervention, mounting rescue operations for Overend and Gurney in 1866, and Barings in 1890. Intervention had commenced as an antidote to a cycle of credit creation and destruction. Destruction was no longer creative, as famously described by Schumpeter. Destruction was itself set to be destroyed. Since then, the state has expanded its intervention into the non-financial economy, but always by financial means. Keynes extended the concept of unsound money to the deliberate creation of fiscal deficits for rescuing an economy in crisis. This may be financed by government borrowing, which recycles private sector savings, withdrawing them from application within the private sector, being applied to government spending instead. Alternatively, the fiscal deficit is covered by expanding the quantity of money, either by the banks issuing unbacked credit, or by the central bank and treasury, printing money either directly, or indirectly through dealings on the foreign exchanges. It is therefore as plain as a pikestaff that the source of business cycles of whatever sort is overwhelmingly a product of unsound money. Before the days of cheap and readily available computers, cycle research was restricted to the backwaters of economics departments. Everyone knew, based on the obvious evidence, that business cycles occurred regularly, and there was tantalising evidence that other cycles, beyond the simple boom and bust, also existed. Kondratiev’s work was resuscitated by seekers of the investors’ Holy Grail, knowledge of future price trends. Then, as now, central banks and government planners believed they could tame the business cycle by monetary and fiscal means, without realising they themselves were the true cause of the cycle. Research therefore followed the Schumpeterian lines described above. Meanwhile, securities analysts noted the effects on bonds and equities. Dow theory applied to stock prices has taught us that equity markets move in phases, and technical analysis of stock prices based on Dow theory has gained increasing credibility. The fact that markets can be categorised as bull and bear informs us a cyclical rhythm exists, at least in stock prices. This cyclical rhythm ties in with interest rate cycles, cycles that have been the result of central bank interventions ever since the formation of the Federal Reserve Board a century ago. More recently, Elliott wave theory has taken it all one step further, positing there are three up-waves separated by two consolidations in each cycle. This agrees with Dow theory, but goes on to tell us that each component of a market cycle is related to the others, and each market cycle is itself part of a larger repeating cycle. Logically, Elliott wave theory applies to markets that are in a perpetual long-term bull market. That can only relate to assets whose prices reflect the declining purchasing power of unsound money. Projections back in time are taken as proof of larger cycles, classified as super-cycles, and even grand super-cycles. With theories such as these, we have been cast adrift from the origin of cycles entirely. At the root of all this, we are asked to believe that cycles can only exist if humans regularly make similar decisions time and time again, forgetting their mistakes of the past. It explains how stock markets interact with business cycles, all of which are assumed to be endemic to free markets. This is an error. Cycles are endemic to unsound money, and it is unsound money that drives an illusion of constantly rising earnings. Rents also reflect unsound money’s loss of purchasing power, echoed by increasing property prices. Without unsound money, rising share prices over the long term would be confined to the share prices of individual businesses which grow their earnings in sound money. Once that point is grasped, the existence of the long-term bull market in equities and property, fuelled by increasing quantities of unsound money, makes sense. It also puts cycles in their correct context. Analysts worth their salt should start thinking about why the accelerating rate at which unsound money is losing purchasing power has become the principal driver of asset prices. It’s money that’s going down, not shares and property going up. Pricing assets in sound money, gold, would be a good start for any user of capital markets. i See Schumpeter’s Business Cycles (1939). FinanceAndEconomics.org is the website of Alasdair Macleod, who has a background as a stockbroker, banker and economist. Alasdair is available for seminars, speeches and interviews. Please check on Services to get further detalils.